SC Group offers variety of choice for transport modes to provide total logistics solutions to the industry including warehousing and port operations. Its comprehensive network of road and coastal vessel links means customers receive the multi-modal solutions best tailored to their needs. Synergy of SC Group’s various human & assets resources, provides integrated solutions that maximize efficiencies across all elements of the supply chain. 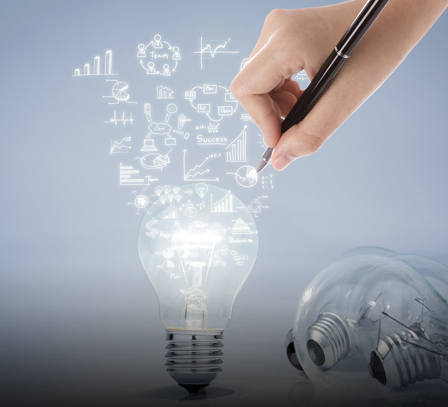 SC Group’s customers are key business stakeholders. It values their long-term relationships. There are continuous efforts to nurture and build close relationships with existing customers, suppliers and bankers. SC Group’s comprehensive logistics network of strategic facilities of land, marine and marine offshore maximizes the opportunities for multi-modal services for its customers. Its warehousing facilities in Map Ta Phut, Surat Thani, Songkhla and Bang Pakong generate many other value added supply chain opportunities. Similarly it being an independent private ports operator, enables customers to take benefit of coastal vessel’s competitive cost base and service reliability. 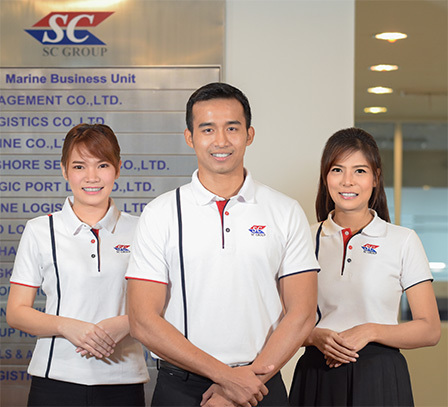 Adoption of new technologies and innovative strategies, have given an edge to SC Group in the marine offshore, marine and land logistics industries in Thailand. Successful investment and implementation in SAP has established SC Group as one of the truly integrated logistics and offshore services solution providers in the region. SC Group’s people are highly motivated and customer focused. 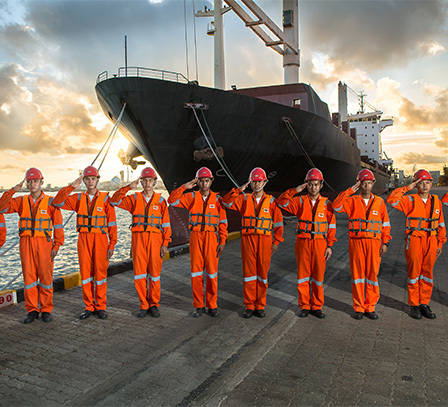 They are proud of being part of Thailand's leading logistics and marine offshore service providers. All employees right from senior management to operations teams to our office staff, SC Group’s men and women are playing critical role in its success and expansion. 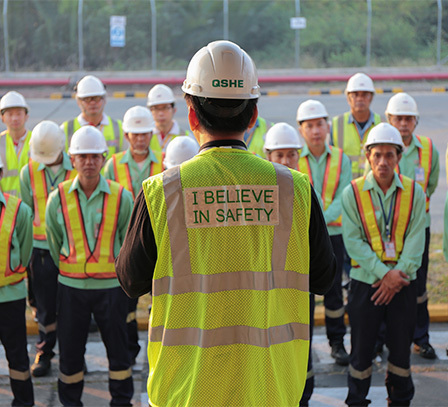 SC Group remains committed to improve safety standards and flawless operations across all aspects of its operations. Over the years, SC Group has significantly reduced its lost time frequency rate which reflects its focus on training, fatigue management, actively caring and accident prevention. Today SC brand is well established and stands for Satisfaction to Customers. SC brand is also known for reliability, innovation, trust, speed of service and customer delight for customers. SC Group is proud of being truly integrated logistics and supply chain service provider.